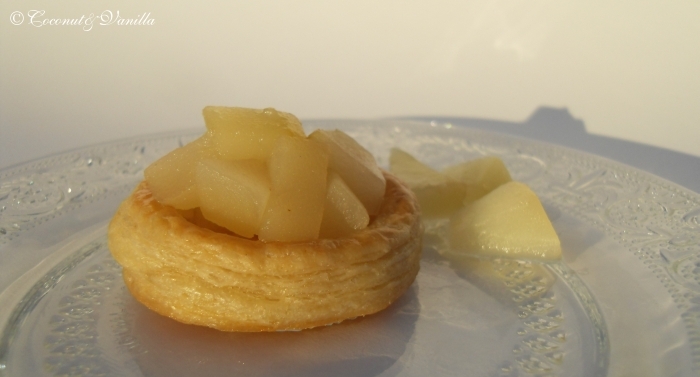 Sooo, we’re back with our cook through of Béa’s cookbook La Tartine Gourmande. I was a bit exhausted of this series at the end of last year, since I couldn’t find much in it to cook in winter. I thought. But I flipped through the book again and wrote things out, that are possible to cook now and I ended up with a lot of recipes! So that gave me new energy and recipes to look forward to! For this friday Ina and I chose two recipes: Tartines with citrus avocado and cumin-flavored shrimp (p 88) and the white chocolate, oat and cranberry cookies (p 272). The tartines were really nice, although nothing special. I would skip on that lettuce leaf next time, because it did nothing for that dish. 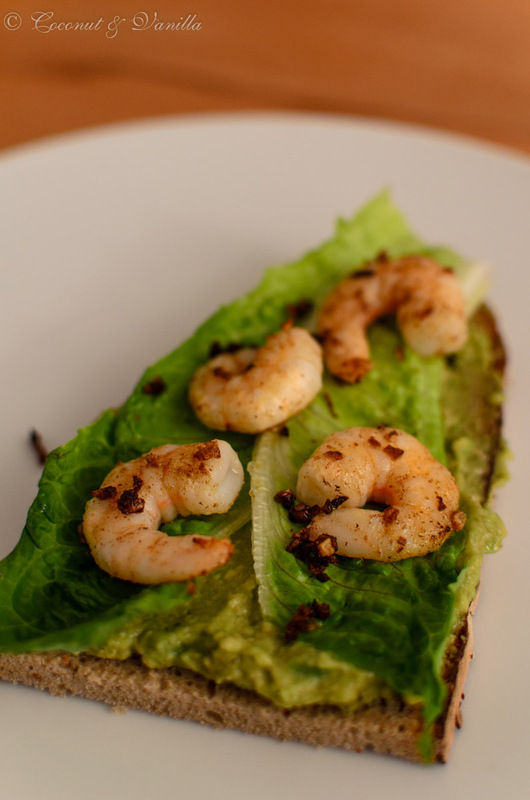 Avocado and shrimp, two things I like very much, combined with a slice of good bread, there’s nothing you can do wrong about that. The cookies didn’t look at all like in the book. 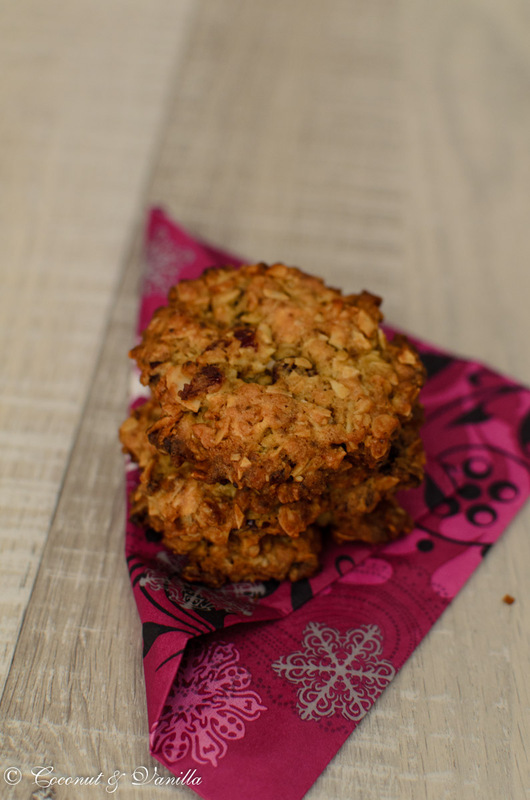 But the taste is really good, although I would skip the slivered almonds next time, since there’s already a lot of texture going on in these cookies. Nonetheless, very good cookies! 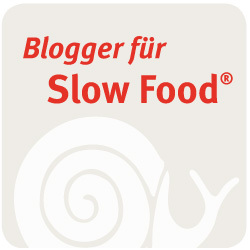 Einfach und lecker – hab es mal gestern ausprobiert und es hat wirklich super geschmeckt. Wie hast du die Shrimps gewürzt? Ich habe dazu etwas geriebenen Ingwer, Limettensaft und etwas Fleur de Sel … ein Traum! Im Original sind die Shrimp nur mit Kreuzkümmel und Knoblauch gewürzt. Deine Version stelle ich mir aber noch leckerer vor!